Ditch the workout and join the party at Palatine Park District’s Zumba Pool Party on Thursday, July 19. This exciting fitness charity event is being presented to support WINGS, Women in Need Growing Stronger, and will be held from 8:00pm to 9:30pm at Family Aquatic Center, 340 E. Palatine Road, Palatine. 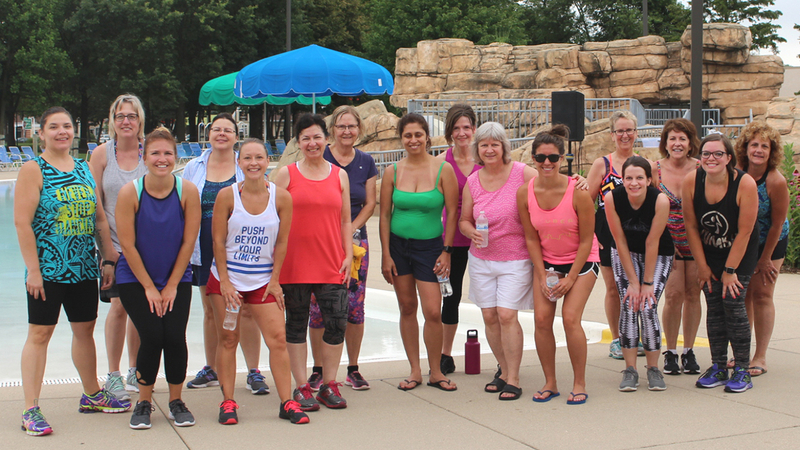 The District’s certified Zumba instructors will lead the evening’s fitness classes including a Zumba fitness “dry-land” class held on the deck followed by an Aqua Zumba class in the pool. The entry fee includes a goody bag, free door prize ticket, and refreshments. Additional raffle tickets for a variety of prizes will be available for purchase for $1 each to support WINGS. The pre-registration fee of $10 for residents and $12 for non-residents is available until Monday, July 16 at 12:00pm. Registration will also be taken at the door for $12. Registration can be completed using program code 322160-16 online at palatineparks.org or in person at Birchwood, Community Center, or Falcon Park Recreation Center. The Zumba Pool Party is open to those age 14 and older. For more information about this charitable fitness event, contact Abby Krueger at akrueger@palatineparks.org or 847.496.6265.